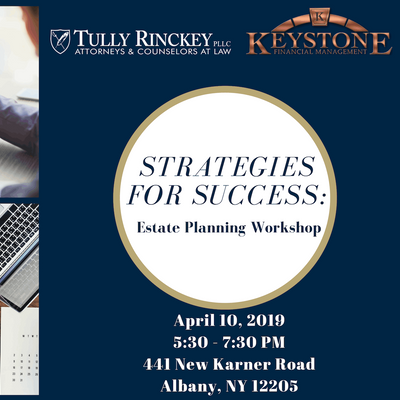 We invite you to join us Wednesday, April 10th for a workshop on estate planning basics. 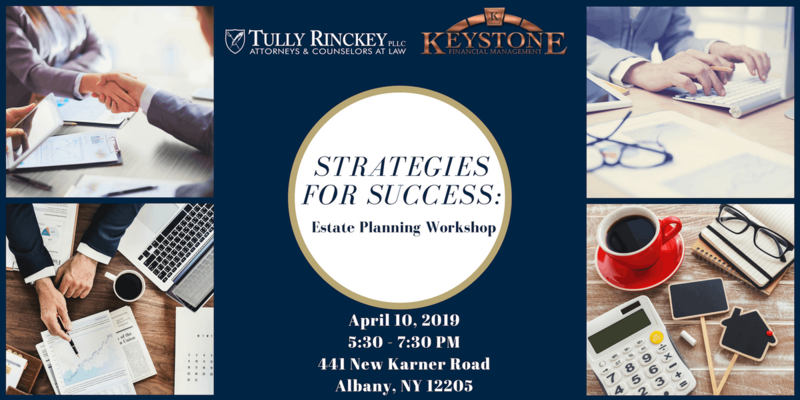 Tully Rinckey PLLC Partner Jennifer Corcoran will cover the basics of estate planning, what legal documentation you should have to protect your estate, and Keystone Financial Management representative Brian McKee will discuss planning for social security and long term care and much more. The workshop will be held from 5:30-7:30 PM with time allotted for any questions you might have. If you have any questions about the event or our services, please do not hesitate to reach out to Cassidy Herman at Y2hlcm1hbiB8IHR1bGx5bGVnYWwgISBjb20= or 518-218-7100. We look forward to seeing you on April 10th! As a Partner and Consult Attorney at Tully Rinckey PLLC, Jennifer performs initial consultations for a wide range of legal matters, including those relating to family and matrimonial law, trusts and estates, civil litigation and real estate law. When performing consultations, Jennifer pulls from over 20 years of legal experience to assess potential and existing clients’ unique situations and provide guidance on how to move forward. At Tully Rinckey PLLC, she has concentrated her practice on family and matrimonial law, elder law, estate planning and real estate law. She has also handled bankruptcy and business law. Brian joined Keystone Financial Management (Formerly Empire Financial Partner’s). In 2002 after earning a Finance degree from SUNY Albany. As a frequent recipient of the annual “Achieving Client Excellence Award”, Brian fully embraces the standards that lead to achieving “ACE” status, both as a representative for his clients, and as a leader. In 2009, he was inducted Into the company’s Recognition Hall in the Boston home office. In 2016 Brian McKee was recognized as court of the table qualifying member of MDRT, one of the premier associations of financial professionals. Brian spent over Ten Years as a leader with JHFN training and cultivating other advisers. Helping his peers with practice management, he was able to utilize this experience to improve his own financial services practice which now consists of more than1000 clients. 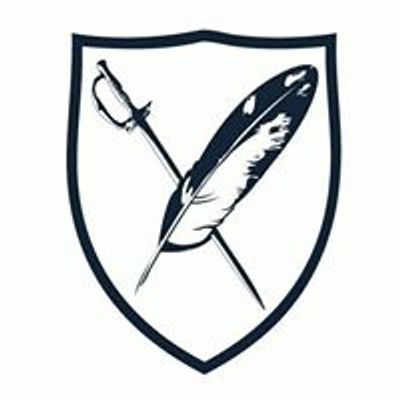 events and practices. Brian also was a supporter and participant of Veterans on Wall-street event promoting the financial services industry to those who served in armed services. Brian is also a supporter of VETCON, an organization promoting Veteran owned businesses.